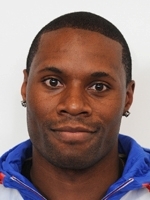 Double world champion (2009, 2010), Gregory Bauge of France is the outright favourite for Olympic gold as the track cycling sprint specialist gets set to chase his ultimate dream at the London velodrome in 2012. The last Frenchman to win the Olympic sprint final back in 1972 was Daniel Morelon and he added that: "If he is serious and motivated, I can't see any way he can lose apart from injury or illness". Before being disqualified ten months later, Bauge also won the 2011 world title. "He completely laminated me", recognised Britain's Jason Kenny after losing the sprint final at those championships in Apeldoorn, Netherlands. In early 2012, a retroactive suspension was handed down on Bauge after falling foul of dope testing rules and he was stripped of his 2011 world title as well as what would have been his fifth team crown which he initially won with Kevin Sireau and Michael d'Almeida. The 27-year-old played down the lasting effects of the ban. "I am not a beaten man. The objective remains the Olympics. For the two titles I lost, well it's infuriating especially for my teammates," he added. At the pre-world championships in Bordeaux held in February 2012, he was eliminated in the first round of the sprint event and finished sixth in the keirin race, a pair of results that he blamed on his fitness. He then began a race against the clock to turn around his fitness with the Games fast approaching but London remains his ultimate objective before likely retiring from cycling after the Olympics. He was a reserve member of the 2004 French Olympic team but did win silver in the team event four years later at Beijing. After those Games in China, the stocky athlete won his first individual world title in 2009. "At London, there is only the gold medal that interests me," said Bauge who has since engaged the help of a psychological coach. If Bauge can return to top form, the sprinter can even dream of an Olympic double in what will be a crack French trio that he has led since 2004 and won four world titles (2006, 2007, 2008, 2009), silver in 2010 and the stripped crown in 2011. The man from Maisons-Laffitte just outside of Paris has risen from his cycling origins as a nine-year-old to now stand on the brink of Olympic glory and the perfect stepping stone in which to retire from the sport.